Apple’s latest flagship phones, iPhone 7 series, have hit Indian shores yesterday. While many e-commerce websites are luring customers with discounts and cashback on certain credit cards, ISP’s are attracting customers by offering free voice and data plans. Airtel has announced that any iPhone 7 or iPhone 7 plus user can avail 10GB free 4G/3G data per month for one year with any myPlan Infinity postpaid plans. In a nutshell, you can avail a total of 120GB over a period of one year. “We are delighted to roll out this exciting data offer for our users to allow them to get the most out of the amazing iPhone 7 and iPhone 7 Plus,” said Ajai Puri, Director Operations (India & South Asia), Bharti Airtel. As of now the offer is limited to postpaid users, but expect it to be extended to prepaid users as well. Keep an eye on this post to receive an update if any such offer gets announced. Vodafone is offering 9GB free data if an eligible user (new 4G smartphone that was not used on Vodafone network in last 6 months) recharges for 1GB data; it can be repeated for 3 straight months. Though it is not specific to iPhone 7 series; nevertheless, new iPhone users can avail the offer here. Jio is not leaving any stone unturned to gain the market share. In the process, it has announced mouth watering plan for iPhone users. 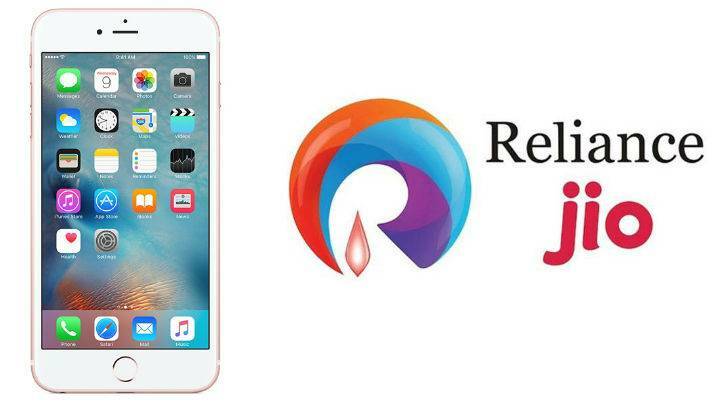 Customers buying iPhones from Reliance Digital and Reliance Digital Xpress Mini will be eligible for Jio “Welcome Offer’ that is valid up to December 31, 2017. But it is too mainstream, isn’t? Benefits: 18,000 worth plans for free + 3000 CB through Citibank cards+15,000 Reliance Retail coupons. It is just for giving a better picture and not to coerce you to buy it.